Nanny Samui Island started in 2011 because we thought that there was a need for nannies to take care of the children of tourists. And we couldn't be more right about that. From all over the world people contacting us and use our service. From Australia up to Canada. Nanny Samui Island is a small company because we think that a small company can give the best service possible with attention to the needs of the guests. We don't believe in being the biggest. We believe in quality not quantity. 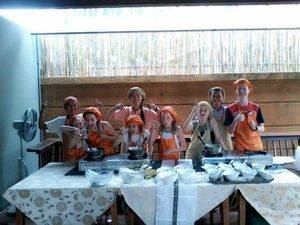 The main goal of Nanny Samui Island is that we like to be with children. They are the happiest and most fun people to be with. Have a look on the photos we posted around the website or have a look in our Guest comments page. 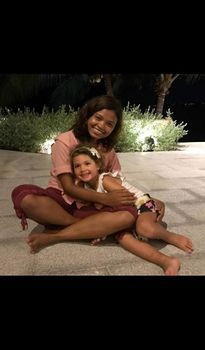 At Nanny Samui Island we are focused on providing Nanny and Babysitting services with the highest levels of customer satisfaction. We will do everything we can to meet your expectations. Nanny Samui Island specialises in care for your children in their own surrounding in your hotel or private villa. Day time, or any other time, for the nanny nothing is impossible. We believe that if your child has a great time, then you as parents have a great time also. 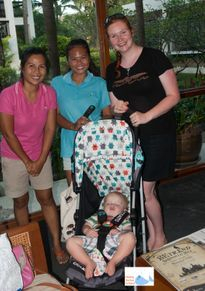 And our nanny is also very helpfull in giving tips for site seeing on our tropical paradise Koh Samui. Everything will be done by our nanny and Nanny Samui Island to make everybody happy and satisfied. From day one till the last day. With a variety of offerings to choose from, we’re sure you’ll be happy working with us. Look around on our website and if you have any comments or questions, please feel free to contact us. We hope to see you again! Check back later for new updates to our website. There is much more to come!